BREAKING NEWS UPDATE: In the new film “Furious 7” (2015), Brian O’Conner, the character played by Paul Walker, is driving in Los Angeles when his car is targeted by a drone entitled the “Predator”. Although O’Conner was not struck by the Predator’s missiles, his car was not so lucky, suffering a direct hit and exploding upon impact. Art imitating life. The drone strike scenario depicted within “Furious 7” was a premediated attempt by Universal Pictures (at the behest of the CIA in Switzerland) to muddy the waters in respect to the fact that Walker really died from a Predator drone strike while driving in a suburb of Los Angeles on November 30, 2013. By creating essentially the exact same drone strike scenario within the film, the CIA in Switzerland is hoping that Fast & Furious fans automatically think of Walker’s last film when confronted by the conspiracy theory that Walker was killed by a U.S. drone strike. In other words, the Predator drone strike in “Furious 7” was not only an onscreen tribute to Walker’s brutal assassination, but a reverse psychology PSYOP (psychological operation) if there ever was one. After all, if Walker did in fact die from a Predator drone strike as alleged, why would Universal Pictures put a scene eerily reminiscent of the attack his last film? SWITZERLAND, Zurich — As evidence continues to mount that Fast and Furious star Paul Walker was killed by a U.S. drone strike, his fraudulent cause of death should more appropriately be relabeled a targeted killing—the premeditated killing of an individual by a government outside a declared battlefield. When Walker’s last film “Furious 7” (2015) finally opened in U.S. theaters on April 3, 2015, it was only after the film’s production was “shut down indefinitely” on December 6, 2013, and the release of the movie (see trailer) was officially pushed on December 23, 2013 from July 2014 until April 2015. The sudden stoppage along with the unprecedented 9-month delay were instituted at the behest of the CIA in Switzerland (the same organization which ordered Walker’s assassination) in a desperate attempt to quell the incessant rumors that Paul Walker was killed by a U.S. drone strike. 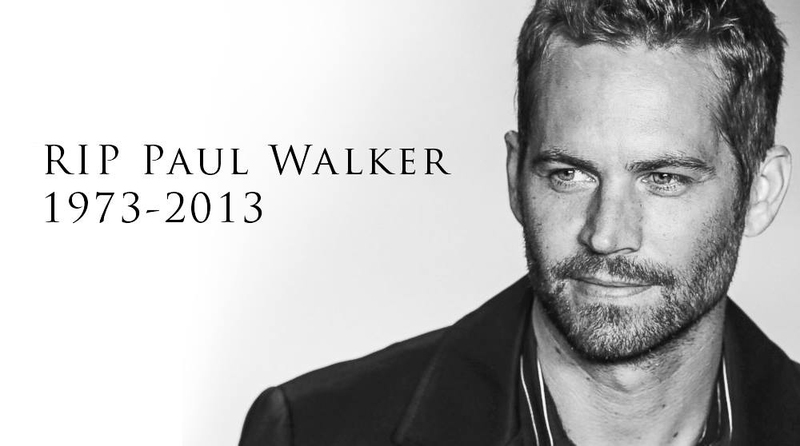 Aside from said stoppage and delay, Universal Pictures inexplicably decided to retire Paul Walker’s character on January 6, 2014, rather than having him killed off in the “Furious 7” film. Universal evidently did not want to invoke the notion that Walker was murdered in real life, hence the all too convenient retirement. Rumors that Walker was killed by a U.S. drone strike were originally spawned by Truther.org on December 1, 2013, in a report entitled “Fast and Furious Star Paul Walker Assassinated by Obama Drone Strike?” which accumulated over 100,000 hits in less than 24-hours. A follow-up article entitled “10 Reasons Why Fast and Furious Star Paul Walker Was Assassinated” was subsequently published on December 3, 2014, detailing what witnesses describe as a “huge explosion and fireball that could be seen for miles”. Said explosion reportedly sent a “fireball high into the sky” which is indicative of a high impact missile strike, not a Porsche Carrera GT’s gas tank detonating upon impact. Although Walker’s shocking death was cited as the primary reason for the aforementioned stoppage and delay of the “Furious 7” film, it was only a convenient and timely excuse. The reality is that the CIA in Switzerland premeditatively attempted to quell the Walker assassination rumors by ordering said stoppage and subsequent delay. This claim only makes sense when it’s understood that Walker’s assassination was exposed by David Chase Taylor, a nuclear terror whistleblower who is currently seeking political asylum in Switzerland. Consequently, the 9-month delay imposed by the CIA was specifically designed to deny Taylor and his theory any further publicity. Despite the fact that mainstream and alternative media outlets continue to deny the facts surrounding Walker’s death, millions of Fast and Furious fans the world over now believe that Walker was killed by a U.S. drone strike, something which the evidence corroborates. As someone once said, “Never let the facts get in the way of a good story”. Although it’s convenient to blame Walker’s death on speeding, the facts surrounding his premature death on November 30, 2013, suggest that he died from an AGM-114 Hellfire missile that was fired by an MQ-1 Predator drone. In order to quell the incessant rumors that Paul Walker was killed by a U.S. drone strike, the autopsies of Walker and Rodas were released by the LA County coroner’s office within 96 hours, something unprecedented for the state of California and unheard of in the death of a celebrity. Although government-funded autopsies generally take weeks or even months to complete, the autopsies of Walker and Rodas were performed, documented, reviewed and released within a 4-day period. Interestingly, Walker’s autopsy report stated that he died of “combined effects of traumatic and thermal injuries” which are coincidentally consistent with a high-impact missile strike. Interestingly, on January 3, 2014, it was revealed that Walker and Rodas did not have alcohol or drugs in their system at the time of their death. Toxicology findings, which are generally included in an autopsy report, were curiously not released by the coroner until 30 days after the original autopsy was released on December 4, 2013. The secondary autopsy report also stated that “For unknown reasons, the driver lost control of the vehicle, and the vehicle partially spun around”, findings which are also consistent with a high impact missile strike. That is to say that the impact of the missile strike was so powerful that it spun Walker’s car around. The secondary autopsy report suggests that the original autopsy released on December 4, 2013, was not comprehensive and was therefore prematurely released in order to quell said rumors surrounding Walker’s death. Conversely, when Rolling Stone reporter Michael Hastings died in an alleged drone strike on June 18, 2013, his autopsy was not released until August 20, 2013, some 9 weeks later. As previously reported, Walker’s car has all the earmarks of a drone strike. Considering that the red hood of Walker’s car remained intact after allegedly striking not 1, not 2, not 3, not 4, but 5 trees, as well as a sidewalk and concrete light pole, it can be deduced that the black crater at the center of Walker’s car was the result of a high-impact missile strike. The notion that Walker’s car suffered a drone strike is corroborated by the fact the 605 horsepower engine found within the 2005 Porsche Carrera GT is located at the center of the vehicle, precisely where it suffered the most damage. When analyzing the list of active missiles used by U.S. military drones, the most likely culprit in the missile strike on Walker’s car is a version of the AGM-114 Hellfire missile which employs an infrared homing guidance system. 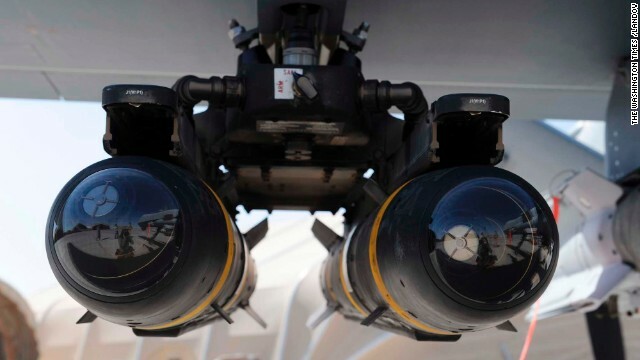 Known as “heat-seekers”, Hellfire missiles are specifically designed to target the hottest part of its respective target (i.e., the engine of the car) which is exactly where Walker’s Porsche suffered the most damage. As evidenced by the photos of Walker’s car, the high impact missile strike opened the Carrera GT like it was a can of tuna, starting from just behind the driver’s seat. In what appears to be inside joke of sorts in respect to the missile which directly struck Walker’s engine, a reported was published on December 18, 2013, which stated that “Paul’s Porsche had mechanical problems at the time of the crash”, a report which later turned out to be fraudulent in nature. When narrowing down the various launch platform of the AGM-114 Hellfire missile, the MQ-1 Predator, an unmanned aerial vehicle (UAV) built by General Atomics, is by far the most likely suspect. 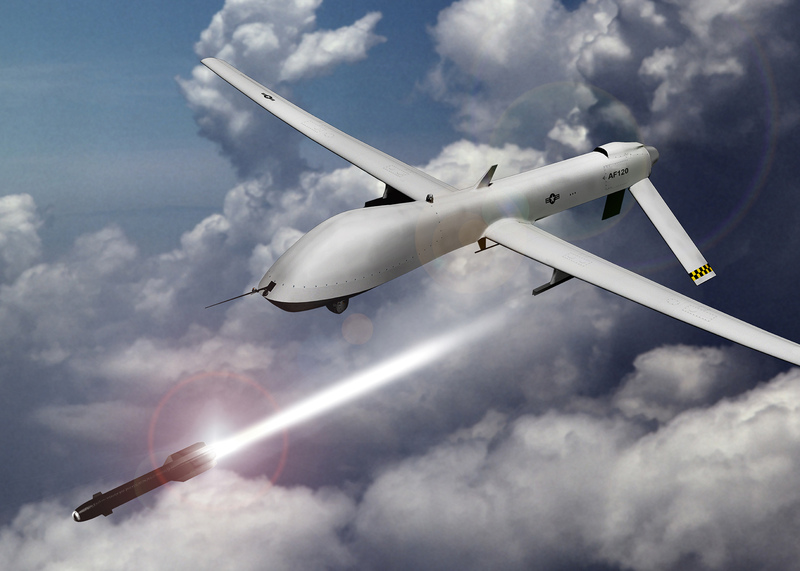 Aside from the fact that the MQ-1 Predator drone is one of only a few launch platforms that deploys an AGM-114 Hellfire missile, the Predator is almost exclusively used by the United States Air Force (USAF) and the Central Intelligence Agency (CIA), both of which are linked to Obama’s Disposition Matrix, the “next-generation kill list” which targets U.S. citizens via drone strike. The MQ-1 Predator drone, which is equipped with inferred cameras, can been modified to carry and deploy two or more AGM-114 Hellfire missiles, one of which likely killed Paul Walker and Roger Rodas on November 30, 2013. The notion that Paul Walker was killed by an MQ-1 Predator drone strike isn’t that farfetched considering MQ-1 Predator drones are flying sorties out of Riverside and Lancaster, California. Back in 1996, the U.S. Secretary of Defense selected the U.S. Air Force as the operating service for the RQ-1A Predator system, placing an undisclosed amount of MQ-1 Predator drones under the Air National Guard‘s 163d Reconnaissance Wing at March Air Reserve Base in Riverside, California, roughly 75 miles (120 kilometers) from where Walker was assassinated in Valencia, California. Some 16-years later on June 13, 2012, a Public Intelligence report revealed that there are now 64 drone bases on American soil, 12 of which house Predator drones. The notion that MQ-1 Predator drones are flying sorties over California was first reported on September 1, 2012, when it was revealed that Predator drones operated by the 163rd Reconnaissance Wing were flying above the Rim Fire at Yosemite National Park, likely sparking the blaze with multiple Hellfire missile strikes. Roughly 10-months later on July 26, 2013, the FBI informed U.S. Senator Rand Paul via an unclassified letter that drones have flown over U.S. airspace a total of 10 times in the past 7 years, a number which is likely far higher in reality. In a Los Angeles Times report dated December 7, 2009, it was revealed that MQ-1 Predator drones are now being used by the U.S. Border Patrol to track illegal immigrants on the Mexico-California border. Said drone are reportedly based in Antelope Valley in northern Los Angeles County, roughly 35 miles (55 kilometers) from where Walker was assassinated in Valencia, California. Lastly, on January 28, 2014, it was reported that the U.S. Border Patrol grounded its drone fleet after a $12 million drone crashed off the coast of California, further confirming that drones are actively flying over California. Given the close proximity of MQ-1 Predator drone bases in respect to where Walker was killed in Valencia, California, a missile strike could theoretically be executed on Walker’s car in less than 15 minutes. If a drone was already in the vicinity, the time would even be less. In order words, the notion that Walker’s car was targeted by a Predator drone strike is logistically possibly and highly plausible. Aside from Paul Walker, U.S. citizens have been routinely targeted for assassination by U.S. drones strikes, something President Obama proudly advocated and openly admitted on May 22, 2015. 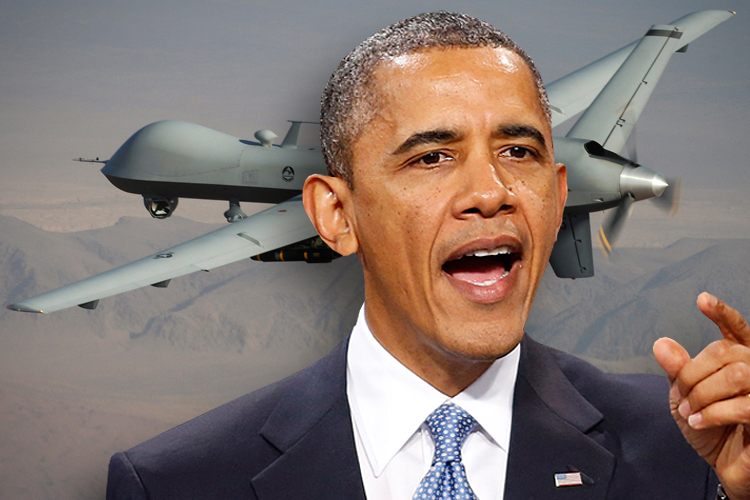 More recently, on February 10, 2014, The Hill published a report entitled “Obama Weighs Drone Strike against American Citizen Affiliated against Al Qaeda”, confirming, albeit in a de facto manner, that the CIA’s drone strike program is alive and well. Aside from the Terminator movie series, the American population has been inundated with drone-related programming and propaganda. Back on December 2, 2012, a so-called “street artist” was reportedly arrested for erecting a number of NYPD drone attack posters. The guerilla operation was likely part of CIA-spawned media campaign designed to psychologically prepare Americans for eventual drone strikes on men, women and children. Lastly, the notion that the U.S. government is conducting secret drone operations within the United States was further substantiated on February 24, 2015, when it was revealed that the Secret Service is conducting undisclosed drone exercises over Washington, D.C. Needless to say, the notion of drones flying armed sorties over the U.S. is just the next step in the evolution of drone warfare. In April of 2012, John O. Brennan, the current Director of the Central Intelligence Agency (CIA), gave a speech entitled “The Ethics and Efficacy of the President’s Counterterrorism Strategy”. In the speech, Brennan stated the following: “…There is nothing in international law that bans the use of remotely piloted aircraft for this purpose [of assassination] or that prohibits us from using lethal force against our enemies outside of an active battlefield”. In other words, the U.S. can indiscriminately use autonomous drones to assassinate whomever they want whenever they want, for whatever reason they want, regardless of citizenship or location. Due to this all too convenient legal loophole, there is nothing that the international community can do or say about it (not that they would). In short, the legal precedent laid out by Brennan not only allows for President Obama’s Disposition Matrix to exist, but to thrive. The Disposition Matrix, which was reportedly developed by the Obama administration in 2010, is a database which U.S. officials describe as the “next-generation capture/kill list“. The Disposition Matrix goes beyond existing CIA kill lists and creates a blueprint for tracking, capturing, rendering, or killing undeclared “suspected enemies” of the U.S. government. The program, which relies heavily on autonomous drone strikes, is intended to become a permanent fixture of American domestic policy. Since the criteria used in the process of determining which citizens and/or terrorists are to be targeted for assassination is not public, the program is naturally ripe for abuse. Considering that the Disposition Matrix was heavily shaped by the aforementioned CIA Director John O. Brennan, it’s no surprise that the CIA is one of only a few agencies which employs the use of the MQ-1 Predator drone for classified assassinations. As depicted in the Russia Today report from January 16, 2014, entitled “Secret Amendment in Congress Keeps CIA in Charge of Deadly Drone Strikes”, secret and illegal drone strikes by the CIA are the norm. 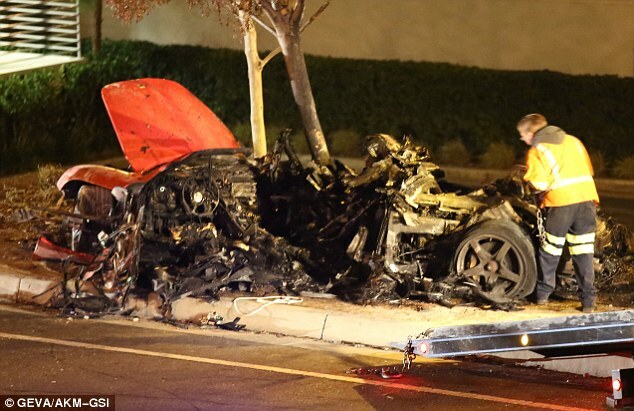 As previously reported, Paul Walker’s car exhibits the same characteristics as an admitted high impact missile strike on a civilian vehicle. The damage to Walker’s car is also identical to the suspected drone strike which killed Rolling Stone reporter Michael Hastings while driving his car in Los Angeles on June 18, 2013. A drone strike was likely also responsible for the West Texas Fertilizer Company explosion on April 17, 2013, as evidenced by an eyewitness video which appears show a missile striking the building just prior to the massive explosion which killed 15 people. Another suspected U.S. drone strike was executed on June 30, 2013, when an explosion killed 19 firefighters near Yarnell Hill, Arizona. As is par for the drone strike course, the autopsies and photos of the 19 dead firefighters were withheld from the victims’ families, most likely because they not consistent with the previously retracted autopsy report which stated that burns and smoke inhalation were the cause of the firefighter’s deaths. In other words, the classified autopsies were not consistent with fire-related causes of death and therefore not released to the public. Considering that the 19 firefighters suffered a radio blackout just prior to the deadly explosion (electronic blackouts generally precede black operations), and MQ-1 Predator drones are admittedly being used to fight forest fires (and start them), it is highly likely that the 19 fire fighters were assassinated by a U.S. drone strike. The SKYNET terminator scenario depicted in the film “Terminator 2” (1991) was a colossal psychological operation (PSYOP), namely because the real autonomous terminators hell bent on humanity’s destruction do not walk on land as depicted in the movie, but rather fly through the air in the form of autonomous drones. Although SKYNET was billed as the fictional name for the terminator program within the Terminator movie series, it is in fact the actual name of NATO’s satellite program which currently encircles the globe. According to Wikipedia, “SKYNET is a family of military satellites, now operated by Paradigm Secure Communications on behalf of the UK Ministry of Defense, which provide strategic communication services to the three branches of the British Armed Forces and to NATO forces engaged on coalition tasks.” Without the use of SKYNET satellites, which provide GPS-related logistics and communication for autonomous aerial vehicles (UAVs), the SKYNET terminator scenario would not be able to function. In other words, SKYNET is the electronic backbone of the terminator drone program. Although SKYNET was founded in 1969, the 2012 NATO Summit in Chicago marked the first time in history that the full-scale implementation of autonomous aerial terminators was publically disclosed. The hi-tech computerized kill system known as SKYNET was originally exposed by Truther.org on May 20, 2012, in a report entitled “Chicago Terror Cover For NATO Implementation Of SKYNET Terminator Program”. The report revealed for the first time in history that the SKYNET terminator program was not only real but was officially activated during the 2012 NATO Summit in Chicago. Roughly 5 months later, SKYNET inexplicably changed their name to Astrium Services, despite the fact that they had used the name SKYNET since 1969. The sudden attempt to rebrand the SKYNET satellite system appears to be a direct reaction to fact that the nightmare terminator program was exposed by Truther.org. SWITZERLAND, Zurich —The simple and honest question posed in the latest Truther.org article entitled “Fast and Furious” Star Paul Walker Assassinated by Obama Drone Strike?” has sparked an international outrage over the inexplicable and suspicious death of one Paul Walker. Regardless of how Walker was killed, the facts surrounding his death do not add up on any level and deserve further investigation, at the very least. Although cliché, the cover-up is always worse than the crime. If Walker was in fact killed by an autonomous drone strike, it would behoove U.S. authorities to see to make sure the truth does not come out under any circumstance. In the aftermath of state-sponsored black operations such as assassinations and terror attacks, intelligence agencies routinely disseminate fraudulent dis-information through various media outlets such as CNN and TMZ in order spin stories and create confusion. The tragic death of Walker is no different. By engaging in critical thinking and employing deductive logic, a more clear and concise picture of how Walker died and who is responsible will hopefully emerge. By examining the following evidence (or lack thereof), the world will be able to decide for themselves who and what to believe. After all, the goal of any real journalist or Fast and Furious fan should be to find out what really happened—something I’m quite sure Paul Walker would have wanted. Exactly what Walker’s car hit first and in what order depends on which report you believe. According to a November 30, 2013, report by CBS Los Angeles, Walker’s car “crashed into a tree and then a light pole before bursting into flames”. This report by CBS was later contradicted by Jim Torp, and apparent intelligence operative, who stated in a December 2, 2013, report that “Roger lost control of the control. They didn’t spin or anything. They went into a tree. They hit four trees and took a big light pole down. The light pole came down and the car bounced off of it. 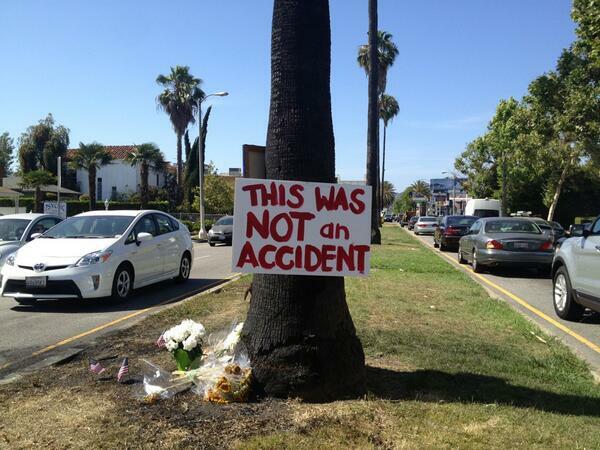 And then they crashed into a tree, that’s what eventually stopped the car”. In a pathetic attempt to explain away the massive damage to Walker’s car, it has now been alleged to have hit a total of 5 trees and 1 light pole, yet the hood of the car is remains mysteriously unscathed. Considering that the car was allegedly traveling at a high-rate of speed when it crashed, it can be ascertained that the car would have suffered the most damage to its front end which took the brunt of the impact, which it clearly does not. Rather, the vehicle is cut in half starting from behind the driver’s side. There is a huge round-like crater in the middle of the car which can only be explained by a high-impact missile strike (see photo above). Knowing that the public would not buy the notion that a small tree could literally blow up a sports car, Walker’s car is alleged to have also hit a light pole. According to a December 1, 2013, report by the Huffington Post, “the Porsche [Walker] was riding in smashed into a light pole and tree” and that “the downed light pole had a speed limit sign of 45 mph”. Although the order of the objects hit by Walker’s car clearly don’t match, Jim Torp, and apparent intelligence operative, stated in a December 2, 2013, report that “They hit four trees and took a big light pole down. The light pole came down and the car bounced off of it”. In the event that Torp was actually telling the truth, the videos and photos of the crash scene would show the downed light pole, which they clearly do not. There is no pole in sight and not one witness at the crash scene made reference to one laying in the street or on the side of the road. However, a day or two after the accident, a pole with the 45mph still attached was sign was conveniently laid in the exact same spot where the vigil for Walker has been erected (see photo). A downed light pole would have likely caused a local blackout or at least an electrical emergency due to its exposed wires, yet the electrical company has not arrived on scene to fix the pole. Interestingly, the alleged crash pole exhibits an octagon-like shape and is clearly made out of cement while all of the other standing light poles are metal, white in color and circular in shape. In the event that Walker’s car was in fact struck with a drone missile, a tremendous explosion would have occurred. Coincidentally, on December 2, 2013, TMZ reported that the crash that killed Paul Walker resulted in a “huge explosion and fireball that could be seen for miles” and that the blast sent a “fireball high into the sky”. The explosion depicted by TMZ does not sound at all like something ever witnessed in the suburban streets of America but rather like something witnessed in Iraq of Afghanistan. 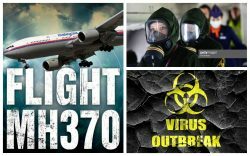 In a December 1, 2013 report by the Huffington Post, Jim Torp, an apparent intelligence operative, stated that he heard the loud sound of a car’s engine revving and then an explosion, ultimately insinuating that something fishy occurred just prior to the explosion. To add even more confusion and disinformation to the equation, Torp told CNN that he heard a blast in the distance before the car slammed into a light pole. “What the first explosion was, I don’t know if their tire blew up, because it sounded like a tire blew on the car”. Regardless, if Torp’s disinformation campaign, there was a major explosion which is indicative of a drone strike. In the event that Walker’s car was actually speeding, it is highly likely that the brakes would be applied at some point during the accident. On December 2, 2013, the New York Post reported that the “lack of skid marks until just before the point of impact suggests the driver didn’t have control of the speeding car’s steering”. The steering and brake components of a car are completely unrelated and therefore even if someone lost control of the steering, the breaks would still work. According to a CNN report dated December 3, 2013, there were “Tire skid marks on the asphalt near the crash site, which indicate a car was doing doughnut spins, also are being looked at”, concluding that “it has not been concluded that they are related to the Walker wreck”. In the initial moments of a video shot by witnesses who arrived at the crash scene shortly after the accident, three sets of skid marks can be clearly seen on the road, only one of which resemble “doughnut spins”. Although two sets appear unrelated to the crash, one skid mark leads directly to the accident. In a CNN interview, Jim Torp, likely an intelligence operative, stated that he “looked closely at the skid marks and concluded they were left by a car with smaller tires”. By reversing Thorps disinformation statement, it can be deduced that at least one of the skid marks likely belongs to Walker’s car. Whether or not the force of an alleged high-impact missile strike could cause the skid marks is not known, but the fact that mainstream reports are discounting the skid marks suggests that they do matter. In an apparent move to dispel the rumors that Walker was assassinated by a drone strike, TMZ released a video report on December 3, 2013, entitled “Paul Walker Crash—The Moment of Impact & Massive Inferno”. Just like the headline, the video fails to show the reported “explosion” or any sound of an explosion whatsoever. As evidenced in the silent surveillance video, the smoke from Walker’s crash scene goes from barely there to all over, instantaneously. The unnatural manner of the smoke dispersion indicates that there is likely a video edit, cut or splice at 00:18-00:19 seconds in the TMZ video or 13:00-14:00 in this YouTube video. Also, the video starts off with white smoke (indicative of burning trees and leaves) and is followed by black smoke (indicative of burining gas, oil and rubber). Obvioulsy, the car was on fire prior to the trees which also suggests that the video has been tampered with. Although an independent investigation must be conducted prior to reaching any concrete conclusions, it does appears that the massive explosion was premeditatedly cut out of the video completely. After all, if an explosion was depicted in the video, the camera would likely shaken severely. Also, the fireball from the explosion would then have been able to be compared forensically with that of a missile explosion, something those responsible cannot let happen. If Walker’s car had exploded naturally, due to gasoline combustion, one would expect a relatively minor NASCAR-type crash explosion, but definitely not something that would blow the car in two pieces. In order to convince the public that Walker’s death was an “accident”, the notion that speeding was involved had to become part of the official narrative. Less than 24 hours after the crash, the Los Angeles County Sheriff’s Department stated that “speed was a factor” in Walker’s death. The report went on to state that “investigators are working to determine how fast the car was traveling and what caused it to go out of control”, further insinuating that speed was the predominant factor in the crash. When conclusive statements are made by officials within 24 hours of a supposedly random accident, the likelihood of foul play increases exponentially simply due to the fact that there has not been enough time to complete a real and thorough investigation. Witnesses have not been interviewed, video has not retrieved and tests have not been conducted, yet authorities are disseminating what can only be construed as speculation? This behavior suggests that there is an agenda, albeit covert, to lead the public in a certain direction—way from foul play. The fraudulent notion that Walker was speeding at the time of his death was reiterated on December 2, 2013, when TMZ released an article entitled “Paul Walker — I Once Hit 185 MPH… On The Freeway!”. Predictably, the report went on to state that law enforcement believes speed was a factor in the crash. One look at the December 3, 2013, video released by TMZ and it’s self-evident that any high-rate of speed on that road at that time would have been impossible simply due to the sheer amount of cars sharing the road with Walker. In order to further sell the notion that Walker was speeding, a fraudulent rumor was disseminated which insinuated that the deadly crash was the result of an illegal street race often witnessed in the “Fast and the Furious movies”. The rumor was first identified on December 2, 2013, when TMZ reported that police were investigating the possibility that Paul Walker was in the middle of a high-speed street race with another car at the time of his death. According to the report, law enforcement told TMZ that “investigators have received tips that Walker and the man driving the Porsche, Roger Rodas, had been racing prior to the crash” and that “cops are on the hunt for video and witnesses that could prove another car was involved”. The article concluded by stating that “the area where the crash occurred has a history of being a popular street racing location”, further insinuating that Walker was street racing. According to a December 3, 2013, CNN article, Hercules Street, the road on which Walker died, “has a reputation for fast drivers”, which spurred a crackdown by deputies two years ago. While completely untrue and unsubstantiated, the street racing rumors were released in a coordinated effort by TMZ and law enforcement to corroborate the narrative that Walker was speeding at the time of his death. 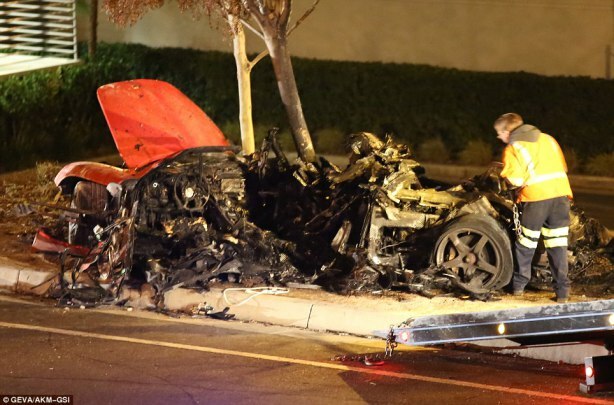 In order to further sell the notion that Walker was possibly involved in a street race when he crashed, CNN published a report on December 3, 2013, entitled “Paul Walker death investigation: Police rule out second vehicle, focus on speed”. According to the report, a Los Angeles County Sheriff’s spokesman stated that investigators have been “unable to find evidence of a second car in the accident that killed Walker”. Los Angeles County Sheriff’s Sgt. Richard Cohen reportedly told CNN that authorities received a tip on Sunday, December 1, 2013, suggesting that another car was at the scene racing the Porsche when it slammed into a light pole and burst into flames. The report concluded that investigators have since ruled out the presence of a second vehicle and the theory that the Porsche was drag racing. Regardless of the retraction, the idea that there may or may not have been a second vehicle was disseminated as part of a coordinated intelligence operation to corroborate the narrative that Walker was speeding at the time of his death. In another brazen attempt to steer the public away from the notion of foul play, on December 2, 2013, a New York Post report entitled “Mechanical Failure Behind Paul Walker Crash: Report” revealed that, “The trouble-prone Porsche that “Fast & Furious” star Paul Walker was riding in when he died in a crash suffered a mechanical failure that was likely caused by a power steering fluid leak”. According to the report, sources told TMZ that they saw “evidence of a fluid burst and subsequent fluid trail before the skid marks at the accident scene.” The report went on to state that the “lack of skid marks until just before the point of impact suggests the driver didn’t have control of the speeding car’s steering”. The unnamed witness then reportedly saw Rodas prior to the crash “trying to help employees figure out what was wrong with a red Porsche Carrera GT that kept stalling”. The lack of source and witness names suggests that this information was disseminated in order muddy the waters in respect to the Walker crash and steer the public away from the notion that Walker may have been assassinated. In order to further the notion that the death of Walker was at the very least accidental, on December 3, 2013, CNN released an article entitled “Porsche Carrera GT: 5 Reasons the Car Paul Walker Died In Is Different” which was published in an apparent bid to sell the notion that Walker’s Porsche was just an accident waiting to happen. Among other things, the report states that the Porsche has three times the horsepower of the average car, is notoriously difficult to handle, even for professional drivers, and is unusual because it has no electronic stability control. Eddie Alterman, editor-in-chief of Car and Driver magazine, essentially went on to state that the car was just too hot to handle by stating that, “This was not a car for novices” and that the “Carrera GT program began as a racing program”. Alterman also stated that “The Carrera GT is able to change direction “very quickly, very much like a race car. It was beyond a super car. It is what we call a hyper car” and that the car “had such a hair-trigger throttle, because it changed directions so quickly, there is a lot to learn.” Todd Trimble, an exotic car mechanic in Las Vegas, followed Alterman’s lead by stating that the Carrera GT is “Very hard car to drive…You really need to know what you’re doing when you drive them. And a lot of people are learning the hard way.” Trimble concluded by stating that, “They’re getting rarer and rarer…Most of the time, when they do get wrecked, there’s not much left of them”. Based on these “experts”, the Porsche Carrera GT is a dangerous machine that is almost impossible to drive. The blatant demonization of the car speaks to the desperate nature of intelligence agencies to sell Walker’s death as accidental. “Fast and Furious” Star Paul Walker Assassinated by Obama Drone Strike? SWITZERLAND, Zurich — Based on evidence acquired to date, it appears that Fast and the Furious star Paul Walker was assassinated in a drone strike while riding in a car in Los Angeles, California on November 30, 2013. While initial reports state that the car split in two after striking a tree at a high rate of speed, one look at the crash scene (see photo below) and it’s evident that the tree (no more than 6 inches in diameter) was not solely responsible for cutting in half, exploding and completely destroying the 2005 Porsche Carrera GT. A few inches of wood are obviously no match for thousands of pounds of forged steel allegedly traveling at an extremely high-rate of speed.. In other words, what is being alleged as the cause of death by authorities is scientifically impossible. The Walker crash scene is eerily similar to what is known to be a missile strike on a civilian vehicle and almost identical to that of fiery crash witnessed when Rolling Stone reporter Michael Hastings was assassinated on June 18, 2013, in Los Angeles, California. As evidenced in a video taken by witnesses who arrived at the crash scene only moments after the explosion, pieces of Walker’s Carrera GT can be seen strewn across the street in every direction, characteristic of a high-impact missile strike. It’s no secret that SKYNET killer drones are operating in American airspace, the only question is whether or not they are now openly assassinating U.S. citizens, something President Obama has already admitted doing. Roughly 4 months ago on July 26, 2013, the FBI informed U.S. Senator Rand Paul in an unclassified letter they have flown drones over U.S. airspace a total of 10 times in the past 7 years, a statistic which is likely much higher. Aside from the deaths of Walker and Hastings, other suspected drone strikes include the West Texas Fertilizer Company explosion on April 17, 2013, in which a missile can be seen striking the building just prior to the explosion, as well as the explosion which killed the 19 elite firefighters near Yarnell Hill, Arizona, on June 30, 2013. Curiously, the autopsies and photos of the 19 firefighters are being withheld from the victims families because they are most likely not consistent with the now retracted preliminary autopsy report which stated that burns and smoke inhalation were the cause of death in all 19 fatalities. Considering that the firefighters suffered a radio blackout just prior to the explosion (i.e., electronic blackouts generally precede black operations) and that drones are admittedly being used fight forest fires (or start them), the likelihood of foul play in the tragedy is exponentially higher. Although the FBI’s drone missions are still classified, they’re evidently comprised of assassinations which are intended to look like “accidents”. UPDATE: Everybody wants to know why the Obama administration would want to assassinate Paul Walker. While I can only theorize, it’s possible that Walker was assassinated in order to highlight Operation Fast and Furious just prior to an unprecedented gun-related massacre in the United States stemming from one or more of the 2,000 assault rifles sold by the ATF (Alcohol Tobacco and Firearms) to Mexican drug cartels. Since Walker’s death, the words “Fast and Furious” have been in the news non-stop and have been subconsciously programming the public in a psychological manner for an impending state-sponsored terror attack that will likely be connected to Operation Fast and Furious. 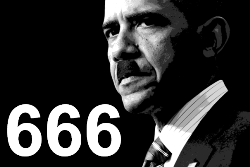 In the aftermath of said terror attack, Obama would likely attempt to ban and confiscate guns in America which would be unfair (since he supplied the guns) and highly anti-American. Suffice to say, the incident would inevitably lead to a second American civil-war over the 2nd Amendment and the right to bear arms.